In a new regular feature, Pragnesh Karunakaran, MD of Red Recruitment, talks recruitment trends and challenges. 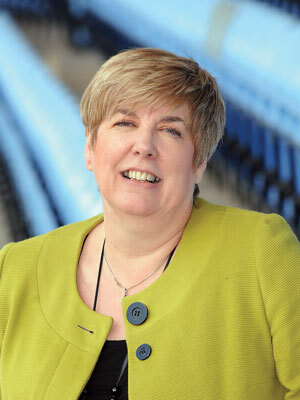 This month he speaks to Jacky Isaac, group HR director at Ricoh Arena. What characteristics do you look for when looking for candidates? When employing any candidate, the balance is between skills and behaviours, as skills you can develop and behaviour is part of the individual’s ‘make-up’. Add the right values and attitude and an HR professional can leverage what they need to find a successful employee. What do you do differently to attract potential staff? I am fortunate to work across two sectors, both of which have attributable levels of excitement in busy and fast-moving environments. That in itself provides the Ricoh Arena and Wasps with an exceptional platform to attract people. How did you progress to your position? I have been privileged in my career to have the opportunity to work for and with some amazing people in some fantastic environments. If I have learnt anything it is to take whatever I have been taught and the opportunities I have been given with an open mind and this has helped to drive my career. I am mindful that I must do the same for those following behind me. I firmly believe that HR should have a seat at the corporate table providing strategic people solutions to help drive the business. In today’s society, people’s expectations are often influenced and can be raised by the sheer volume of communication they face through myriad channels. For me and my senior colleagues and team members that work across Wasps and the Ricoh Arena the challenge is not always about attempting to meet individual expectations but rather encouraging them to be the very best they can possibly be in this fast-paced exciting environment. What is the current climate and what are the trends? As I see it, whatever the outcome of Brexit the hospitality industry would miss the skills and the experience currently available from various parts of Europe. The government’s initiative around apprenticeships, albeit some amendments need to be made to the process, will provide the West Midlands and the UK with the opportunity to reinvigorate the adage that it is ‘OK’ to learn how to do something well and this will help to fill a potential skills gap. It should not be forgotten the hospitality industry in the UK can offer a diverse and fulfilling career on so many levels. Coventry will be the City of Culture in 2021 and the Ricoh Arena a venue for the Commonwealth Games in 2022. Therefore, my approach for this coming year is to continue to consolidate our position in providing opportunities at Wasps and the Ricoh Arena across a wide range of roles in a flexible and exciting working environment, ensuring our business continues to be successful and we are ready for the opportunities that are presented in 2021 and 2022.